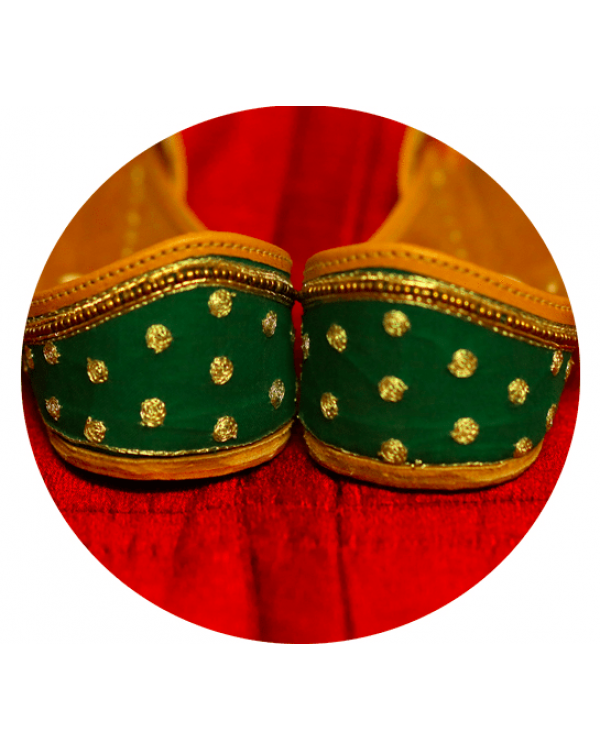 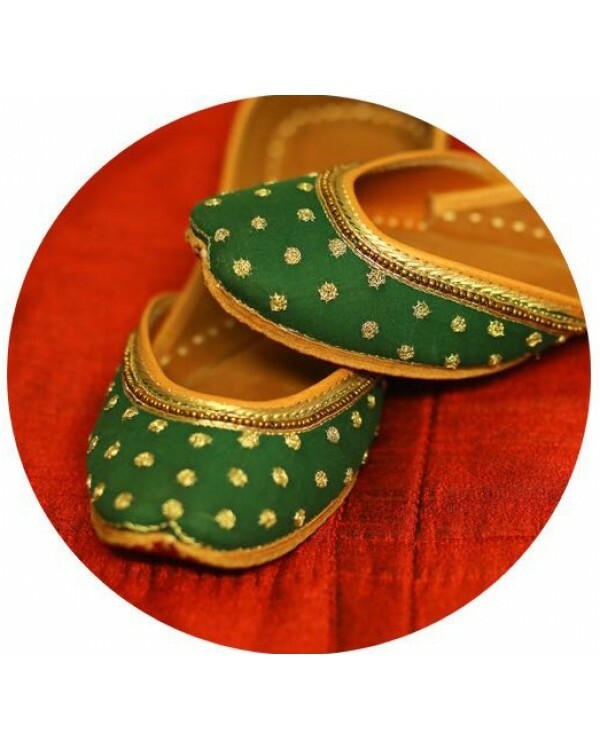 Live it up with this Pair of Star Shine Green Colored Juttis by Punjabijuttistore.com. 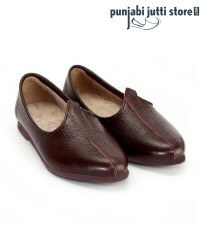 Featuring Multi-Directional Grip and a Comfortable Sole, this Pair will Allow Free Movement. 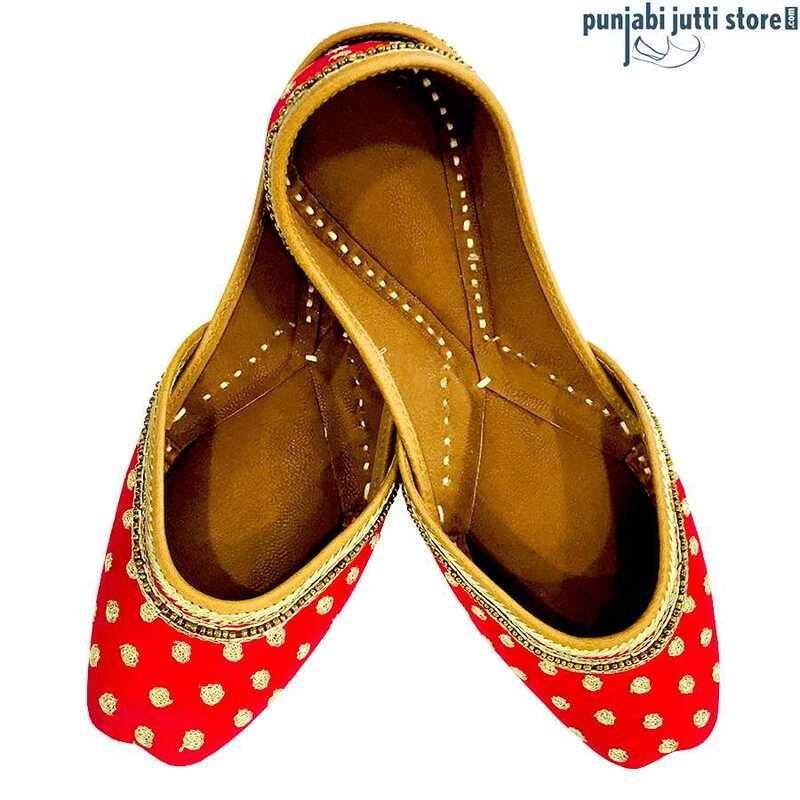 Club this Pair with a Zigzag Pattern Kurta and a Churidar to look Fabulously Astonishing. 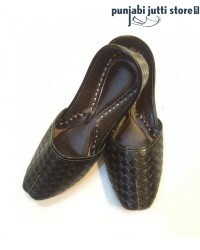 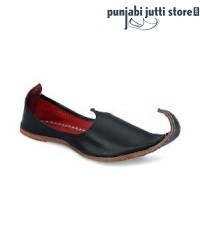 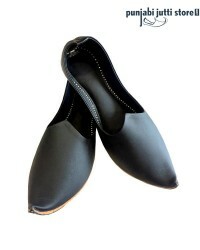 Black Coloured Beautiful, Trendy and Extremely Comfortable Khussa Punjabi or Punjabi Jutti or Indian Mojari.